Learn more about going solar here! Get over the Wednesday "hump" and catch up on the latest PUSH Green news. We just launched our latest e-Newsletter, "May Greetings from PUSH Green," this morning and it's filled with family profiles, workforce information, upcoming PUSH Green events, and much more. Check it out by simply scanning the QR Code below. Just don't forget to sign-up for our newsletter by visiting us online. 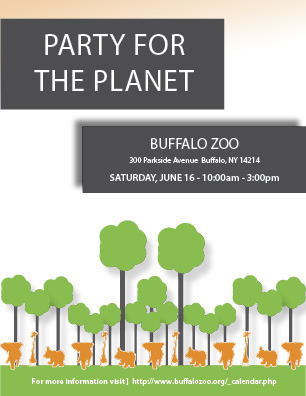 THIS JUST IN: Looks like our awesome PUSH Green Team will be at this year's "Party for the Planet" event at the Buffalo Zoo on Saturday, June 16. Join us, and several other green organization's as you learn all about Buffalo's energy conservation efforts. The event is free with Zoo admission and will run from 10:00 a.m. until 3:00 p.m. We sure hope to see you and your loved ones there! 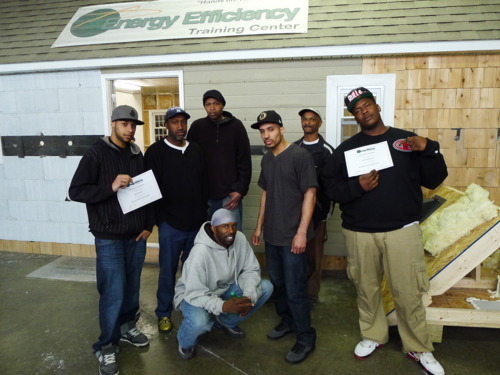 Green Jobs Trainees pose for their close-up after completing BPI's Basic Air Sealing and Insulation Training. 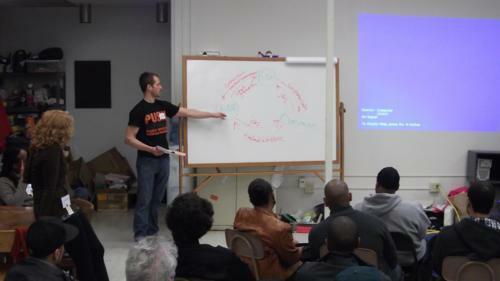 In early April, PUSH held a PUSH Green Worker Mobilization event. 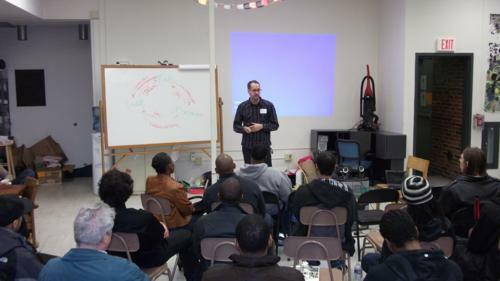 After a month of one-on-one meetings with alumni from local pre-apprenticeship and certification training programs, more than two dozen area residents interested in careers in weatherization and energy efficiency turned out for the event. Several home performance contractors and a representative from Local 161 of the Laborers International Union of North America (LiUNA) were in the house as well. 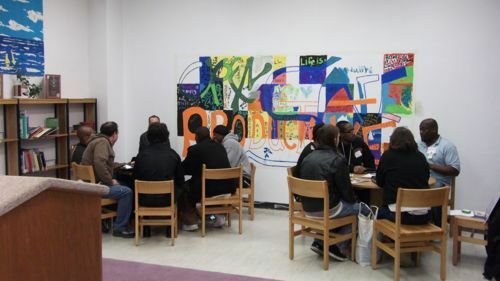 Attendees participated in small group round robin interviews with contractors and LiUNA, heard from PUSH Green's workforce staff about opportunities to build a “Community Jobs Pipeline” through Green Jobs-Green New York, and then signed up to hit the streets to generate the customer demand that will put them in demand as emerging workers. Thirteen trainees, who attended the PUSH Green Worker Mobilization event, have since completed BPI Basic Air Sealing and Insulation training sponsored by LiUNA, and are now looking forward to growing the home performance industry in WNY as original members of LiUNA’s Local 161. 1. What do you love about Kenmore? What I love about Kenmore are the people! 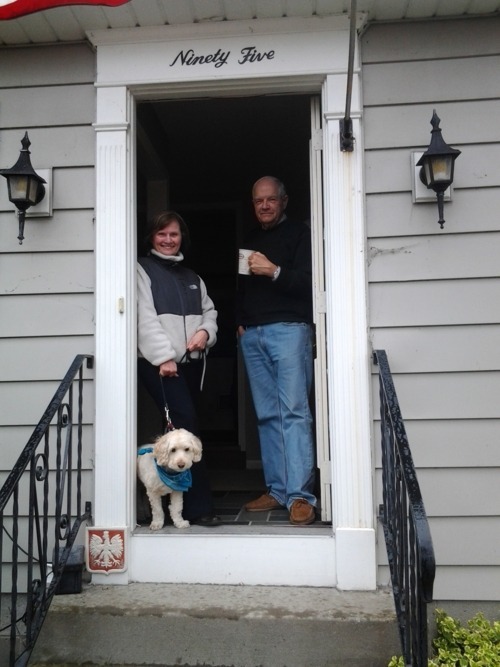 The Kenmore Village Improvement Society (KVIS) has more than 600 members now - each a gracious and generous hearted individual willing to freely give of their time, talents, and energy to help make our community the very best it can be. This month marks our organization’s 4th anniversary. 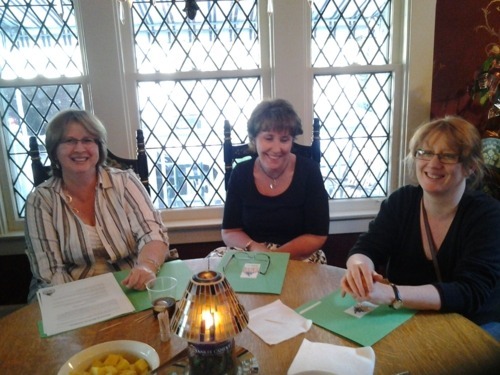 During these four years, I have been privileged and honored to attend more than 750 meetings, in which KVIS members gather to think about a specific part of life here in Kenmore. At each of these meetings our members discuss the strengths and weaknesses of each part of our community and create thoughtful action plans to address those needs. The varied experiences, depth of vision, understanding, and passion of those participating is astounding! The heart of any community are the residents and what I have learned over the years, is that Kenmore is filled with people who are kind, intelligent and generous. 2. Why do you believe in PUSH Green? PUSH Green offers residents the ability to improve their homes in a way that makes energy upgrades affordable. I thought that I was familiar with everything that PUSH Green had to offer, but learned at our last KVIS meeting, that I had missed some vital information. The PUSH Green program truly does make energy efficiency improvements attainable. The program helps us to reduce our energy consumption as we all strive to be more aware of our carbon footprint - helping us become a more "green" community. Reducing our carbon footprint and our energy consumption is a gift, not only for ourselves but also for those to come. Being able to leave behind a legacy of energy efficiency and sustainability for Kenmore’s future residents is a very noble act – an act, that will hopefully become a part of our life's legacy of giving. What I like most about the program is that payments for the improvements are placed on our utility bills. The On-Bill Recovery Loan will not make our utility bills skyrocket, thus making the PUSH Green program truly affordable. 3. What would you do with an extra $700 a year? The KVIS would take the extra $700 a year to help support our programs like our Children's Concert Series, Independence Day Celebration or Dog Days of Kenmore. At home, my husband and I would most likely use the $700 to make continued improvements to our property. We have a large garden in the back of our house but have kept the front simple. Perhaps we would use the money to purchase colorful plants to place in our front yard. The KVIS encourages all homeowners to learn about the PUSH Green program and share the information with your friends and neighbors. Utilizing the program will help raise the value of our homes, create a more well maintained community and will help us save money while offering us the opportunity to give the gift of a greener planet for future generations. 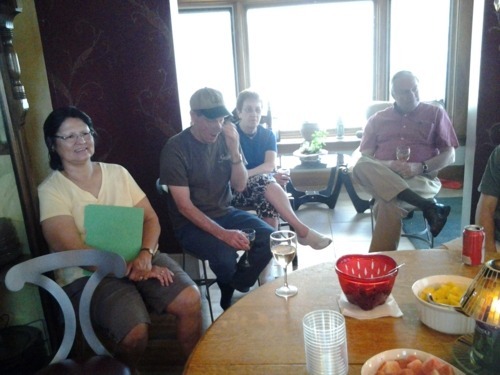 On May 15, Denis and Mary Jane Uminski held our program’s very first PUSH Green House Meeting. Thirteen of their closest friends and neighbors joined the Uminski’s and program Energy Advocate, Rachelle Moses, to learn more about the program, the state’s new On-Bill Recovery Loan Program and all around tips about how to make the most out of one’s time in the program. 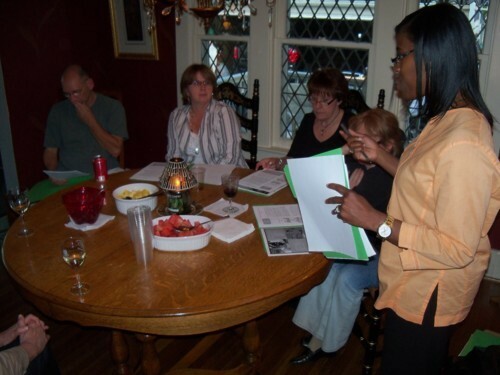 Meeting attendees were guided through the PUSH Green program by Energy Advocate Moses, step-by-step. 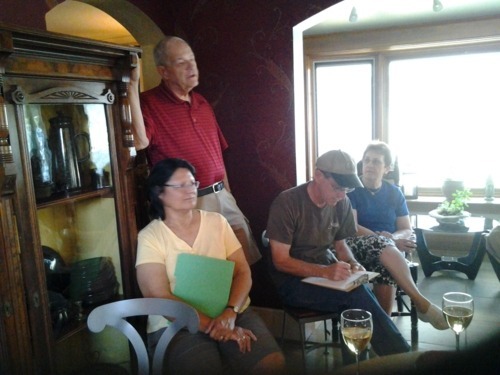 Questions regarding the program, the new Friends and Neighbors program, and financing options were addressed during the Uminski’s two hour meeting. Pretty sound energy efficient model for a homeowner interested in upgrading their house. A community rooftop garden at the Via Verde housing development in the Bronx, developed by Phipps Houses and the Jonathan Rose Companies. It looks like the New York City Council is making some pretty green changes. On May 1 the Council unanimously approved a multitude of zoning changes that will make it easy (and, hopefully better) for property owners to make energy efficiency upgrades. Score! In a city where more than 75 percent of the City’s greenhouse gas emissions come from their housing stock, is it any wonder why people everywhere –at least in the great state of New York-are jumping for joy? I know our Green Team sure is! 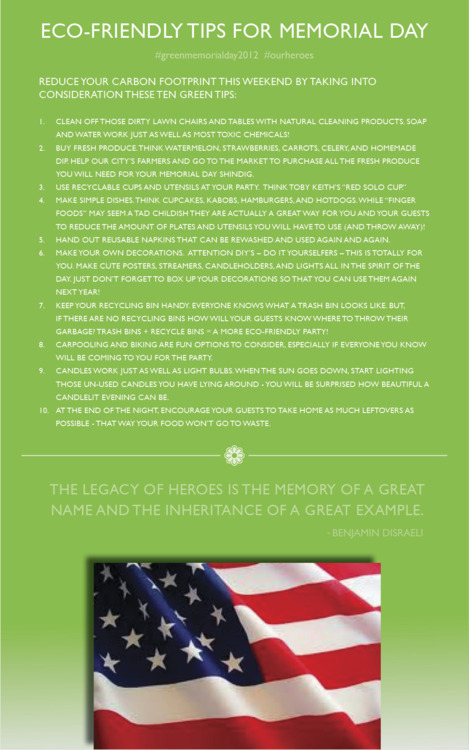 To read the entire New York TImes Green Blog article, please click here. Happy reading everyone! The economy tanked and we all felt it. Now, as we all struggle to find ways to save, economists are going green to the find the answer. And, we actually don’t mind, because going green is the answer. I mean, who doesn’t want to save money nowadays? As part of President Obama’s energy strategy to help families (and businesses) reduce their energy usage and costs, the Department of Energy has launched a new Utility Data Access Map tool. This new, interactive map enables electric companies from all over the country to show customers their electricity use. To date, more than 500 electric companies have signed on to use the tool. The cool thing about this new interactive map is this: customers now have a way to access their electricity usage, locally, and compare it with others in the state as well as the country. Thanks to the map, customers can now better manage their energy usage and work to save money on their monthly bill(s).